Welcome to the 2018-19 school year. My name is Claudia Kuhlow and I am the speech therapists at Indian Hollow Elementary School and one of the speech therapists at Burr Intermediate School. I am excited to begin a new school year and look foward to providing your child with the help they need to improve their speech and language skills. I am looking forward to a successful year as we work together to help your child achieve their goals. If you ever have any questions or concerns, please feel free to contact me at Indian Hollow (631) 858-3590 or at Burr (631) 858-3636. Please leave your phone number and the best time to reach you and I will call you as soon as possible. You can also email ckuhlow@commack.k12.ny.us. Children with difficulty producing speech sounds come to speech for therapy. This includes the most common school age problem, the lisp. 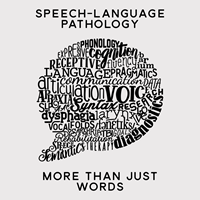 Speech Language Pathologists assess and treat children who have delayed vocabulary and syntax/grammar or other language disorders. word meaning, sequencing skills and problem solving. There are children who have difficulty using language properly in social contexts. These children come to therapy and learn how to greet others, introduce conversation, make eye contact, use proper body language and other important social skills. Weak tongue and/or lip muscles can decrease the clarity of speech. Speech therapists often employ oral activities such as blowing bubbles and whistles, using straws and chewing gum to strengthen these muscles. Children may also demonstrate difficulties coordinating the movement of structures in the mouth during speech. These difficulties are called apraxia and are treated through structured practice of speech movements. Dysfluency is characterized as repetition or prolongation of sounds, words or phrases during speech. Speech Language Pathologists often assist children with fluency difficulties to learn strategies to overcome these difficulties.